According to our 6th Imam, Imam Jafar Sadiq (AS), we should recite this dua whenever we drink water to remember his thirst and suffering of Imam Hussain (AS) and his family and friends. Download the dua and its translation HERE. Cut out along the dotted lines. Glue it on your reminder card. We used a paper painted blue with watercolors and cut into a heart shape. Decorate! We used pipe cleaners. You could also use glitter, stickers, crayons, etc. 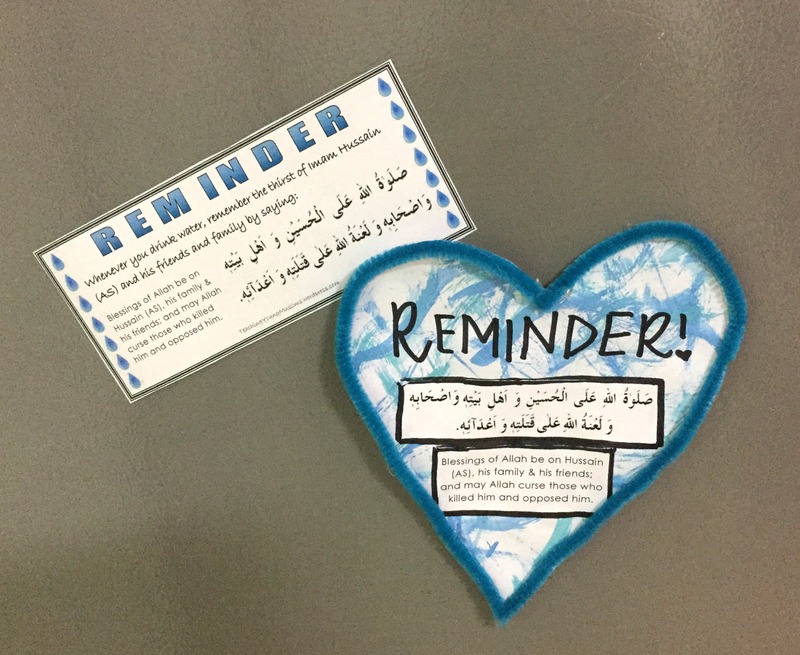 Place your reminder card on the fridge or wherever you normally drink your water. If you do not wish to make your own reminder card, you can also download a pdf version of the card here. All you have to do is print, cut, and stick it on the fridge.